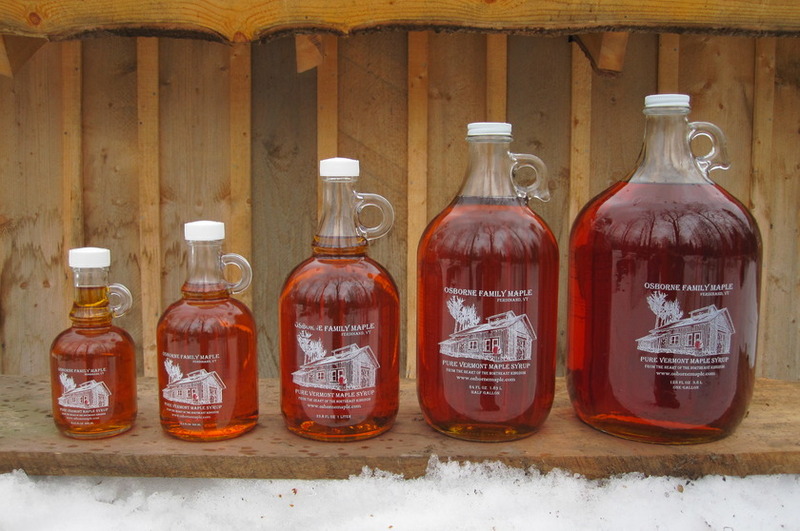 We make pure Vermont maple syrup in the heart of the remote region of Vermont known as the “Northeast Kingdom.” Our sugarhouse is located in the sparsely populated town of Ferdinand, where moose outnumber people three to one. Since the late 1930s, four generations have patiently managed the land, resulting in the 4,000-tap sugarbush we have today. As certified organic producers, we manage our woods for biodiversity, in addition to sap production, to promote a healthy forest ecosystem that is more resilient to the threats posed by non-native pests and invasive plants. Annual inspections of our woods and sugarhouse ensure that all aspects of sap collection and syrup production meet, or exceed, the food safety requirements of organic certification. We take great pride in our maple syrup. Only the finest batches of our single-source maple syrup make it into our hand-numbered private-label containers. We hope you enjoy it as much as we enjoy making it!